Home > Beer Essentials 101 > Spike Brewing Kettle ReviewIs It Really Worth Buying? 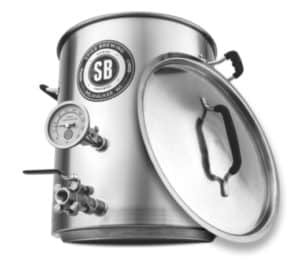 The Spike Brewing Kettle is only one in an extensive range of brewing equipment manufactured by the Spike Company out of Wisconsin. One of the company’s flagship products, the V4 Brew Kettle boasts of their trademark quality construction and innovative design. 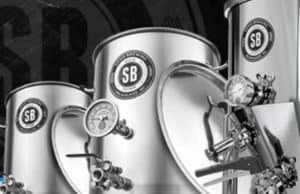 Over the years, Spike has garnered considerable acclaim for its range of innovative, state-of-the-art brewing equipment. Even with their advanced features, most of the company’s products are easy enough for anyone to use. This is why their brew kettles are favored by home brewers of all experience levels. As you will see from this Spike Brewing Kettle review, the V4 promises more of the same qualities that have made the company the leading manufacturer of top-of-the-line home brew equipment. Spike Brewing makes no bones about its products being a bit more expensive than most. A tagline on the company’s homepage proudly proclaims that their products are “Not Cheaper, Just Better”. More than any other, this statement amply expresses the company’s focus on quality, with no expense spared. Even with their slightly higher price tags, most of the company’s product line delivers superb value for the money. This brew kettle is a good example, and its combination of innovative features, solid construction, and world-class design give it tremendous bang-for-the-buck. 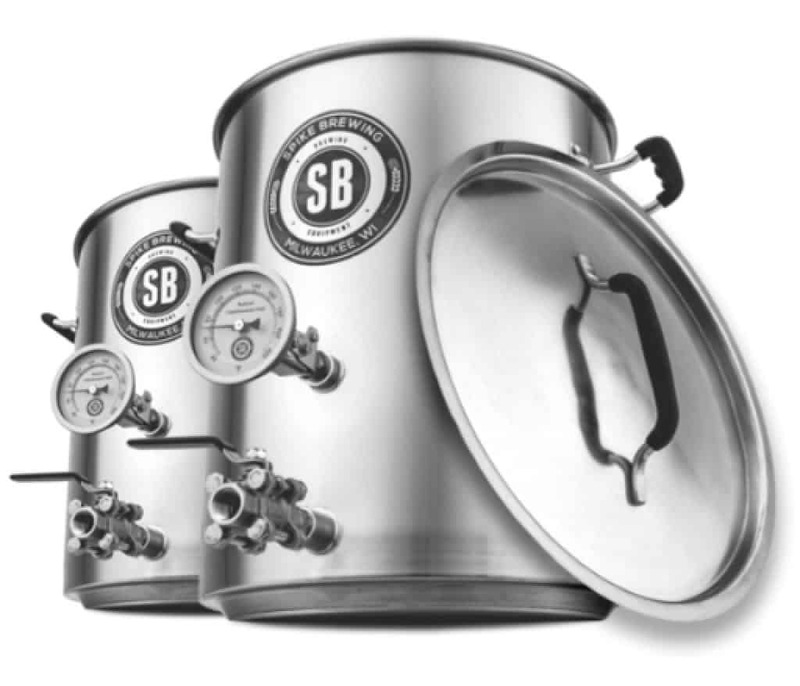 Like all the company’s products, the Spike Brew Kettle is manufactured entirely in the United States. In fact, the Milwaukee-based company is just as steeped in manufacturing history as it is in traditional beer production. Spike proudly maintains that all the stages of manufacturing the Brew Kettle takes place on US soil. This includes everything from designing and engineering to materials sourcing, fabrication, and even welding. Features such as dual-stage stepped false-bottoms and push-to-connect fittings give each piece unparalleled structural reliability. And with 1.2 mm thick 304-grade stainless steel walls, you just know that these kettles are built to take a beating. The durability and reliability of the Spike Brew Kettles are further enhanced by welded fittings that totally eliminate the risk of leakage. Each and every Brew Kettle is assembled via a sanitary TIG welding process. Many other brewing kettles in this price range have poorly-fitting fixtures and weldless construction, which often results in messy spills and leaks. Other features include the 5 mm tri-clad bottom, which is designed specifically for induction purposes. The unit even has level markings on the interior walls, making it easy for you to see where your levels are at. With this brew kettle, you can always be sure that you’re brewing the exact amount of wort you need according to your recipe. This takes a lot of the guesswork in your brew, allowing you to achieve consistent results all the time. Finally, the Spike Brew Kettle comes with two food-grade welded couplers. Built with the same ruggedness and durability as the rest of the unit, these ensure a totally snug fit, with absolutely no leaks or spills. You can also watch this review about unboxing the brew kettle and imagine as if you have this product itself at your home. Should You Invest in The Spike Brewing Kettle? Every home brew set up needs a good kettle or two, and you simply can’t do better than the Spike Brewing Kettle. Everything from the material to the construction is absolutely flawless, and even the lid has a nice heft that inspires confidence every time you use it. The two food-grade welded vertical couplers are the best that we’ve seen on any unit in this, or any other price range. With a snug, secure fit that solidly locks attachments into place, this is one of the features that set the Spike apart from other brew kettles on the market. The tri-clad bottom really makes it convenient to do induction right in the brew kettle. Added touches such as the level markings on the interior walls may seem somewhat insignificant, but they really show how well-attuned Spike is to the needs of its user base. Admittedly, these are generally priced a bit higher than the competition, and this is the case with the Spike Brewing Kettle as well. For the money though, you simply can’t find a more reliable and consistently-performing piece of equipment. It is definitely a WORTHY investment that will continue to serve you well for many years to come, and we strongly recommend that you get one.